Ever wonder what it would be like to hit the open road in a trailer from long ago? To camp amidst Oregon’s Willamette Valley wine country in a vintage trailer on wheels? Or to rest your head under the desert skies of Texas, surrounded by hip design? Social media is saturated with enviable scenes like these, but what you may not realize is just how accessible they are. 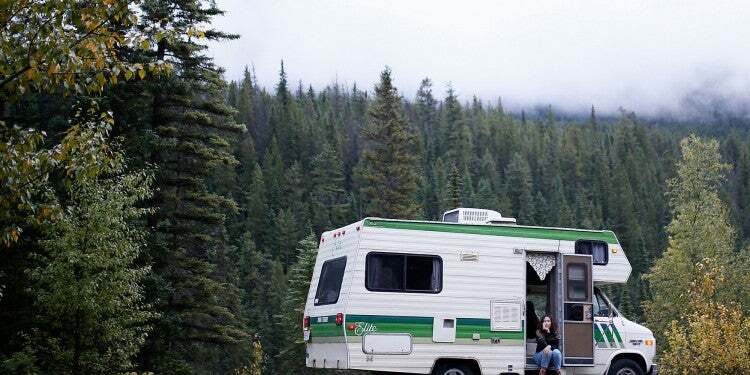 While you may not personally be able to quit your job, renovate a vintage camper, and hit the road, there are unique campgrounds across the country that will allow you to at least feel like you have for a night or two. 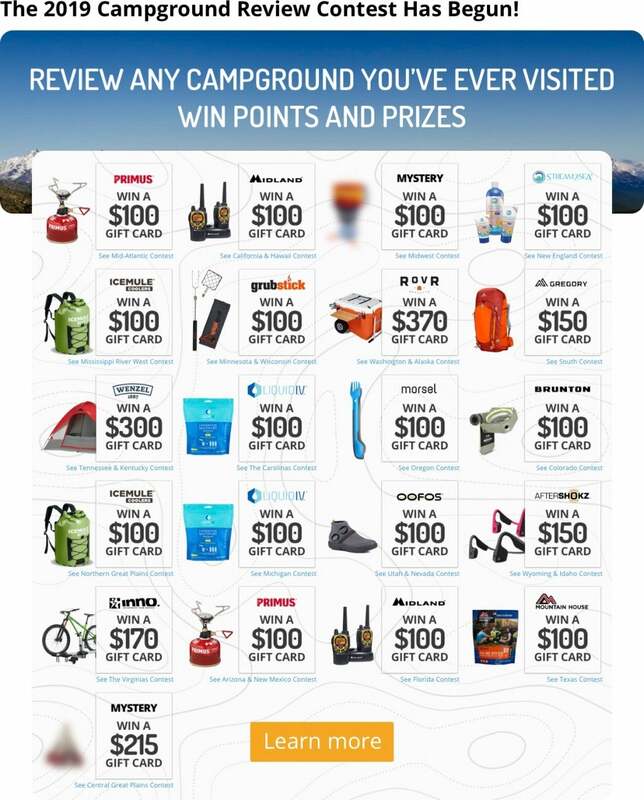 RV camping is a great way to get outside without needing the gear or the additional planning that comes with other forms of camping. It’s also good for bringing along extra pals without needing to squish another sleeping pad into an already cramped tent. Nights spent in vintage trailers are camping experiences that can be wonderful memories even for first-time campers. No matter where you are traveling, it’s likely you can find one of these vintage trailer campgrounds nearby. 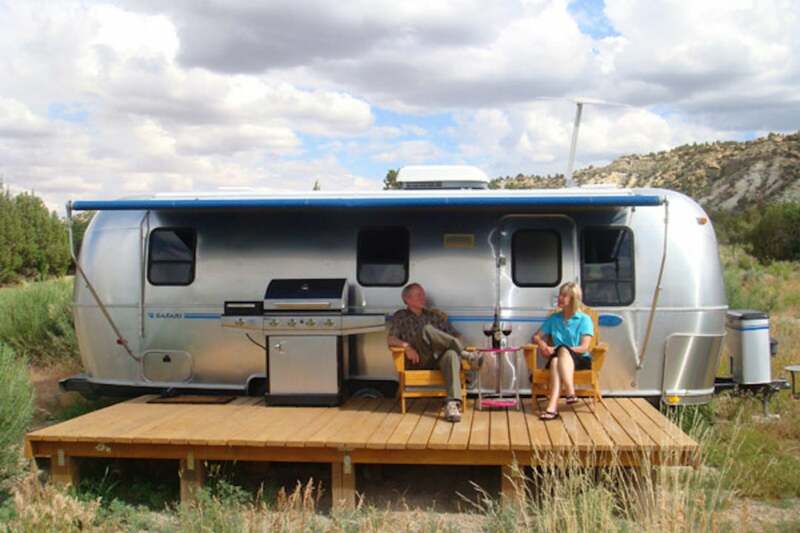 People across the country are tapping into a nostalgia for retro Airstreams and other old-fashioned travel trailers. 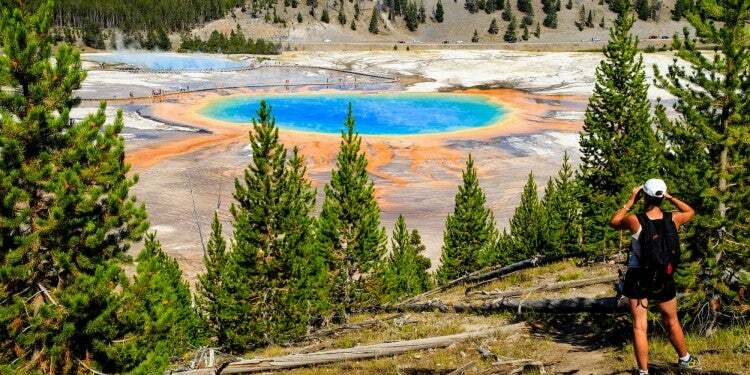 This roundup covers just nine of these rare campgrounds, yet still spans the country from the west coast to the east coast. 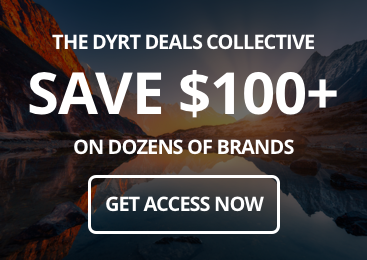 Image from The Dyrt camper Mark J. “Escape the grind, and what will you find?” this southwest vintage trailer campground asks visitors on its website. “A playground without limits…the Big ‘Ahhh,’” it explains. 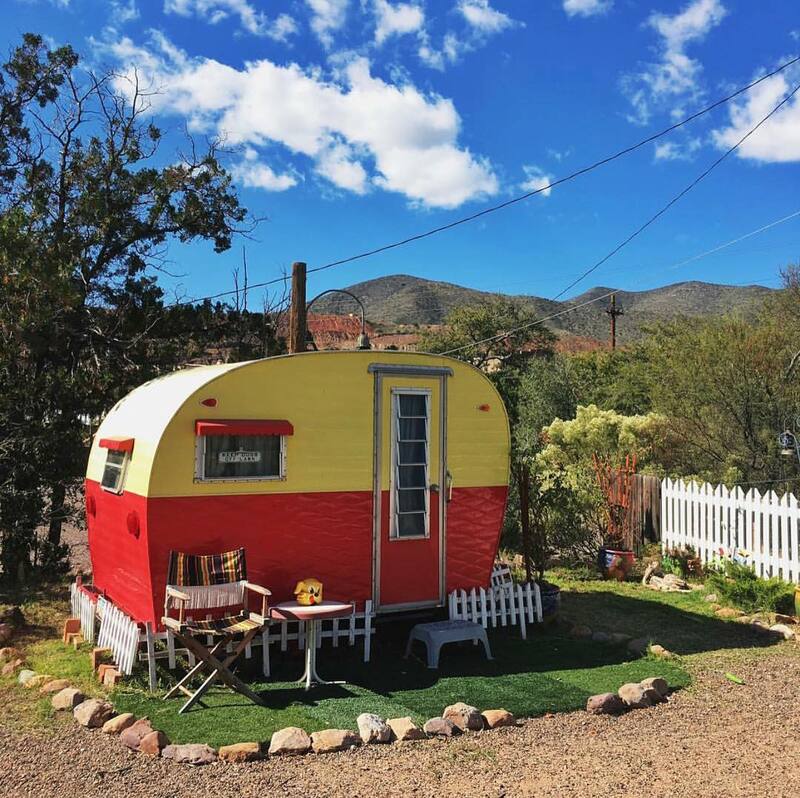 With over 12 acres of mesa, 10 vintage trailers, 60 additional campsites, and an endless night sky full of stars, this vintage trailer campground is a place for play, tranquility, and rejuvenation. Hotel Luna Mystica offers options for solo and budget travelers, as well as group travelers and parties. Each vintage trailer comes with its own deck, bathroom, cozy bed, and kitchen area. 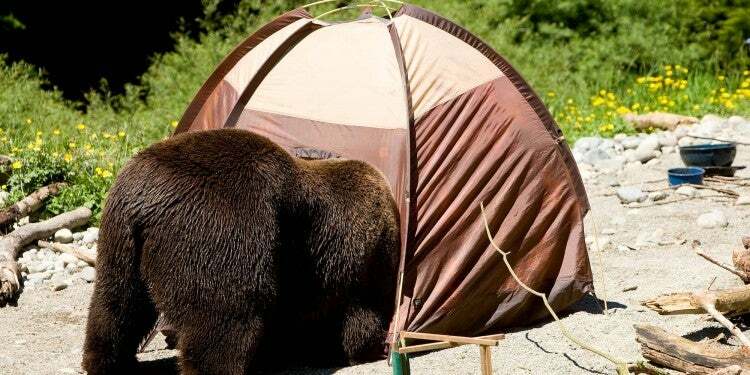 There are also sites for traditional tents and your own RV, though these are more primitive areas. No matter where you camp on the property, everyone can meet up for a cold beer at the Taos Mesa Brewery. It’s located just 12 feet across a dirt road from Hotel Luna Mystica. 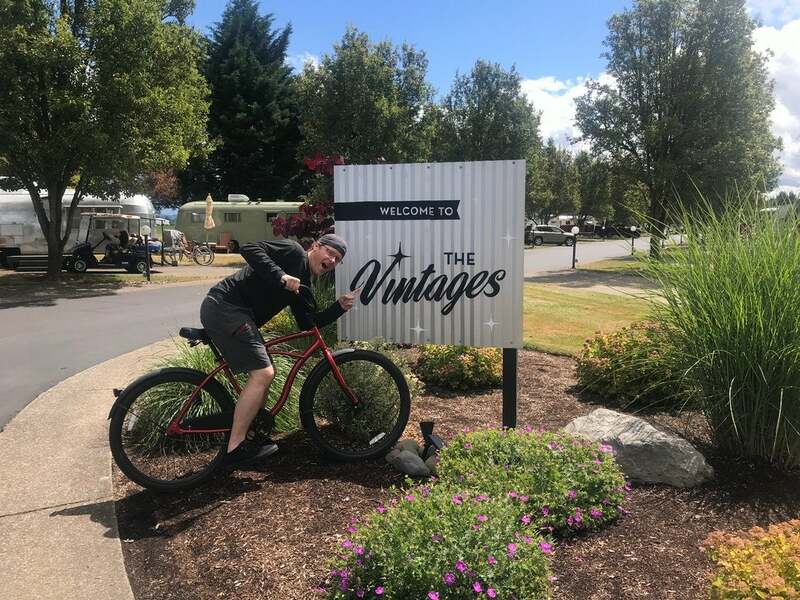 Image from The Dyrt co-founder Sarah S.
If you’re looking to taste some of the Willamette Valley’s award-winning pinot noirs, the Vintages Trailer Resort in Dayton, Oregon is where you should rest your head. 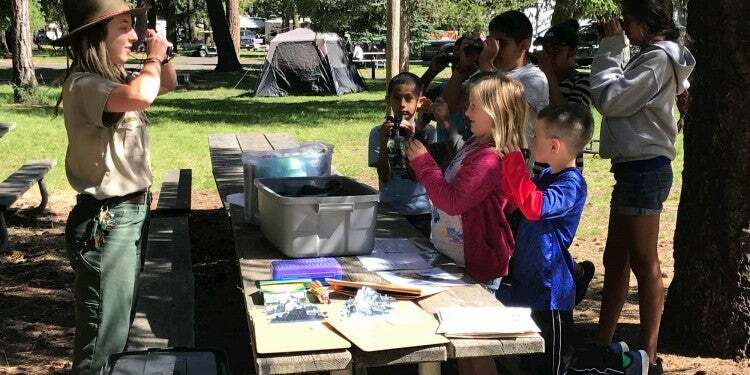 This vintage trailer campground is located in the heart of Oregon’s wine country, and the vintage trailers are arranged together in their own neighborhood within this 14-acre RV park. 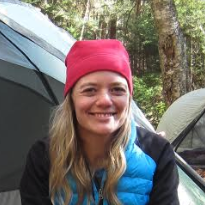 The amenities offered to campers are luxurious, including gourmet pour-over coffee, cruiser bikes, terrycloth robes, cozy mattresses, and fine linens. Besides that, each vintage trailer comes with a propane grill and all needed kitchen utensils—not to mention a wine opener. 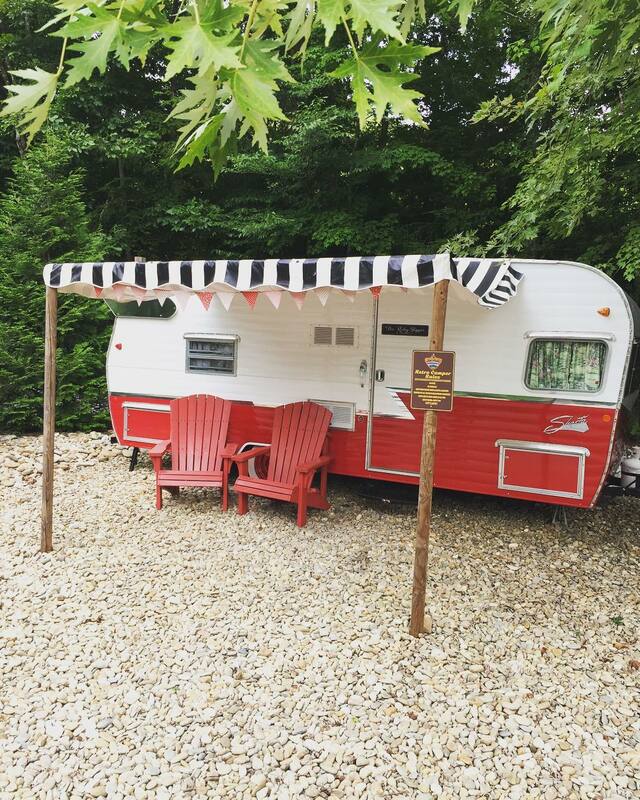 In addition, this vintage trailer campground offers views of the local vineyards, a pool, a nearby dog park, lawn games, and wild blackberry picking for its guests to enjoy. The Metro Hotel & Cafe is a camping experience for those looking for a boutique hotel feel. The facility is focused around a 140-year-old building that was restored in 2010 with a French theme. It also includes two vintage-style Airstream trailers available for reservations. Most rooms come with a clawfoot tub, and the grounds include a restaurant and café. These vintage trailers are a relaxing garden escape, yet still close to all of the happenings in historic downtown Petaluma. The vintage trailer campground is just 15 minutes away from California’s Sonoma Valley wineries and Point Reyes National Seashore. If you’re thinking of a visit to Great Smoky Mountains National Park, make sure to plan ahead and book a night at Weaverville, North Carolina’s JuneBug Retro Resort. This vintage trailer campground is just about a 12 minute drive from Asheville and is situated on 50 acres in a quiet valley alongside the Flat Creek. JuneBug’s vintage trailers are primarily restored 1950s campers. The entire property is designed to give a blast-from-the-past kind of feeling. 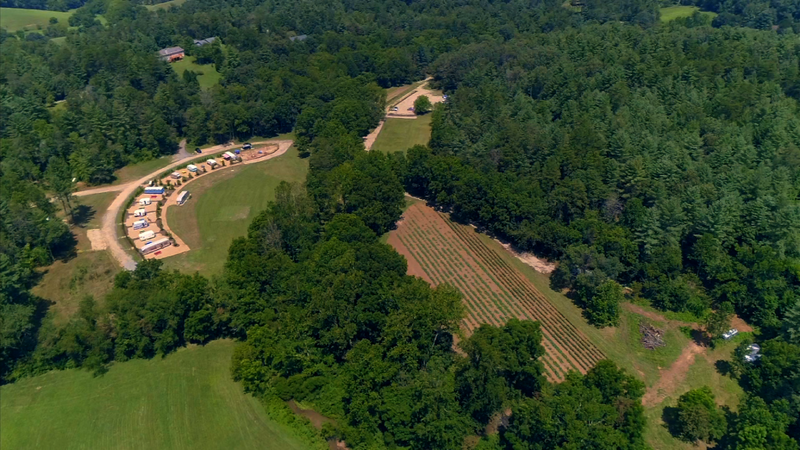 The renovated travel trailers are also just across the river from one of western North Carolina’s oldest organic farms. Guests can rent out one vintage trailer or reserve the entire facility for an event. The Shady Dell is a vintage trailer campground that’s located along Arizona’s portion of the historic Highway 80. Beginning in 1927, the site became a rest point for travelers along the route from Savannah, Georgia to San Diego, California. Today, the property draws upon this rich travel history by continuing to offer a place of rest for the adventurous, while also preserving the 1950s RV camper lifestyle. Campers can choose from ten different vintage trailers with names like the 1947 Tiki Bus, the 1951 Mansion, and the 1957 El Rey. Each are restored with flair. Campers can also enjoy a happy hour that brings together the whole campground. Camp LeConte is a family-owned business right next door to the Tennessee side of Great Smoky Mountains National Park. It’s also a quick drive to the bustling tourist town of Gatlinburg. 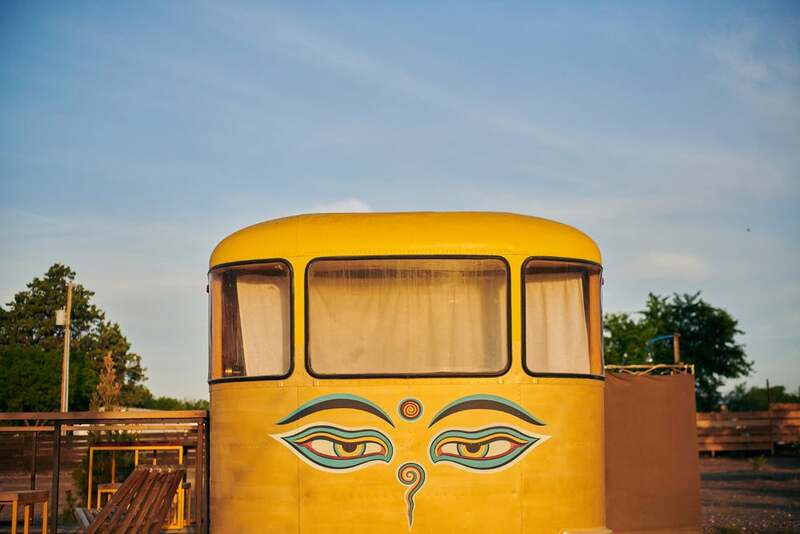 The business offers glamorous camping options, including luxury treehouses, European safari tents, and, of course, some truly adorable vintage trailers. Camp LeConte’s vintage trailers are lovingly called the Ruby Slippers and are replicas of the iconic 1961 Shasta Airflyte 16SC Travel Trailer. They each include the model’s emblematic Shasta wings. The vintage trailers include heat and air conditioning, a charcoal grill and fire pit, and easy access to a bathhouse and heated pool. Camp LeConte’s grounds also include ping pong, a playground, corn hole, board games, a trolley service into town, and more. Shooting Star RV Resort is smack dab in the middle of several of Utah’s stunning public lands. Grand Staircase-Escalante National Monument, Glen Canyon National Recreation Area, Canyonlands National Park, Capitol Reef National Park, Fishlake National Forest, and Dixie National Forest all create a circle worth exploring around this vintage trailer campground. 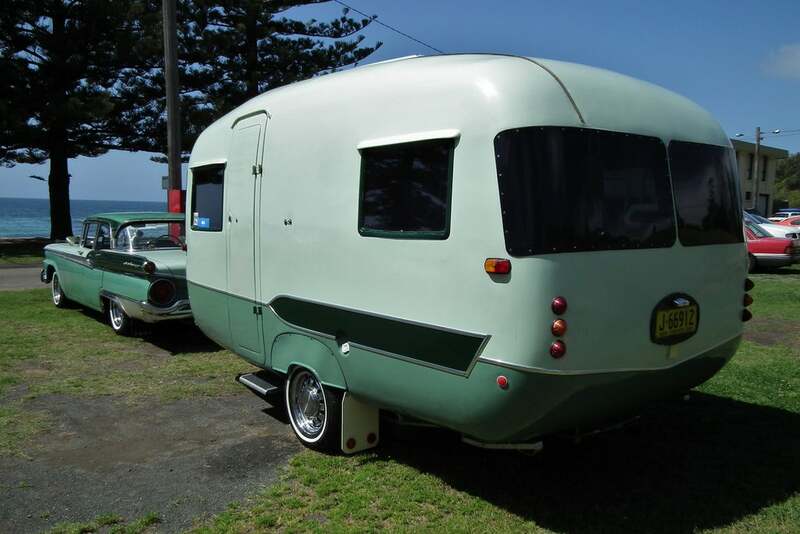 Campers can choose from eight vintage Airstreams. Each trailer is decorated to resemble the dressing room of a Hollywood movie star during one of their most famous movies. For example, campers can stay in a vintage trailer made to look like Marilyn Monroe’s Airstream while filming Some Like It Hot, or John Wayne’s while filming The Searchers. It’s a fitting theme, given that the vintage trailers are located near the property’s drive-in movie screen, which plays a movie each Tuesday, Thursday, and Saturday night beginning at sunset. 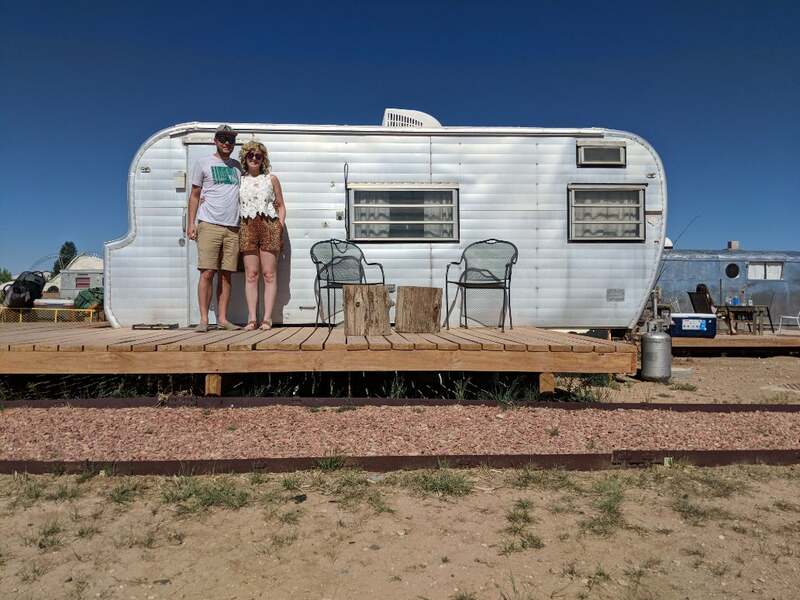 This vintage trailer campground is located in Marfa, a high desert town of western Texas. Marfa has become known as an unexpected art community tucked between the Davis Mountains and Big Bend National Park. El Cosmico’s individuality plays well into the town’s creative vibe. Vintage trailers at El Cosmico come in sizes small, medium, large, and extra large. The interiors are renovated with marine-varnished birch and include furnishings collected from around the globe. Additionally, campers are met with a dry goods minibar, locally-made shampoo and conditioner, plush robes, and many other little comforts to make for a wonderful stay. In addition to the vintage trailers, the campground offers yurts, teepees, and safari tents for those looking for all sorts of camping styles. The property also offers bath houses, an outdoor kitchen, a hammock grove, bike rentals, wood-fired dutch hot tubs, and a provisions store. Located on Washington’s rugged, scenic coastline, and within a close drive to the Willapa National Wildlife Refuge, the Sou’wester Lodge is the best place to cozy up in a vintage trailer on a chilly Pacific Northwest night. This vintage trailer campground has over 20 renovated RV campers from the 1950s and 1960s. The travel trailers range in size from 16 to 40 feet long. They come with a range of amenities and a curated aesthetic. You can pick which one is right for you by checking out the company’s website. The campground classifies their different vintage trailers as either rustic, baby, standard park model, family, and deluxe. 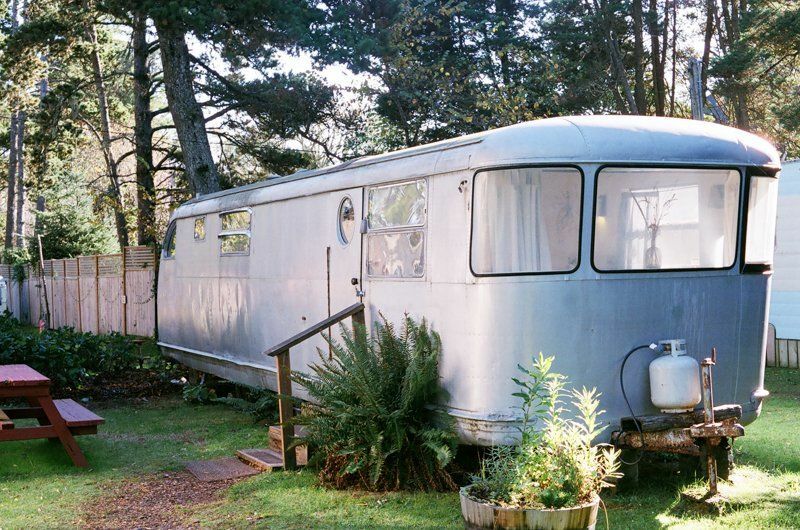 There’s something so sweet about staying in a 1953 Airstream Wanderer named Potato Bug—allegedly one of the coziest in Sou’wester’s Baby Trailer collection.